Our On Demand Manufacturing Services offers a broad range of processes and technologies to fit all your needs from prototyping through production. Get an instant quote through our 3D Printing portal or consult with our experts to start your project today. Professional-grade 3D printing and manufacturing services by Xplorer 3D On Demand Manufacturing group empower designers and engineers with the tools to design, iterate, and produce quality parts directly from digital 3D files. 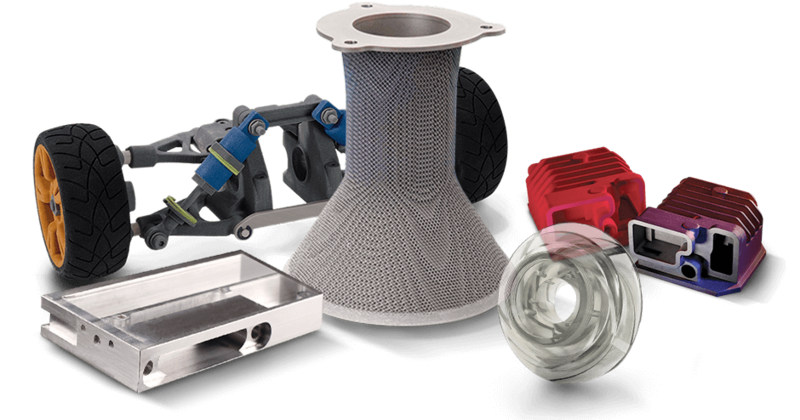 Reduce production times, speed up iterations, and shorten product development lifecycles with high-quality 3D printed and machined parts from one of our many leading global design and production centers. We offers complete On Demand Manufacturing services, from 3D printed metal and plastic parts to traditional CNC, injection molding, and cast urethane models. Rapid prototyping is ideal for fast design iterations and part testing. Our expertise and capabilities allow for a variety of material options and ensure a consistently high level of quality while maintaining quick turnaround times. We provide quality produced parts and prototypes with some of the fastest and most reliable turnaround times in the industry. Our large, efficient digital production facilities are able to meet the unique business needs of today’s most advanced manufacturing companies.